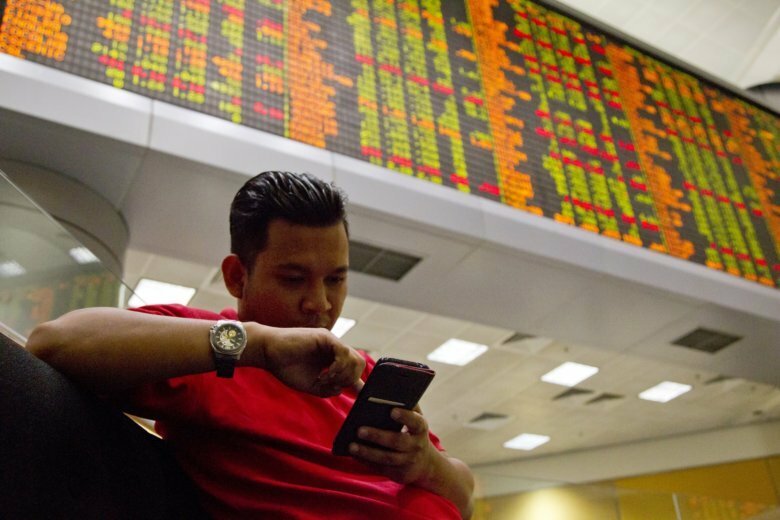 SINGAPORE (AP) — European markets climbed Thursday following a mixed day in Asia, buoyed by hopes the U.S. and China will proceed with talks to tackle their escalating trade dispute. The price of oil dropped after U.S. President Donald Trump warned OPEC to ensure production increases, as they promised this summer. KEEPING SCORE: France’s CAC 40 rose 0.8 percent to 5,440 and Germany’s DAX gained 0.7 percent to 12,297. Britain’s FTSE 100 rose 0.2 percent to 7,346. Wall Street was set for small gains on the open. Dow futures added 0.2 percent while the S&P 500 future rose 0.1 percent. ASIA’S DAY: Japan’s Nikkei 225 was flat at 23,674.93, after the ruling Liberal Democratic Party gave Prime Minister Shinzo Abe the go-ahead for a third term, ending in 2021. The Kospi in South Korea added 0.7 percent to 2,323.45. Hong Kong’s Hang Seng index added 0.3 percent to 27,477.67. The Shanghai Composite index edged 0.1 percent lower to 2,729.24. Australia’s S&P/ASX 200 shed 0.3 percent to 6,169.50. Shares fell in Taiwan but rose in Indonesia, Thailand and Singapore. US-CHINA TRADE: Starting Monday, the U.S. will place a 10 percent tariff on another $200 billion worth of Chinese goods. The tariffs will rise to 25 percent on Jan 1. Beijing has said it would take “counter measures,” which includes hitting $60 billion worth of U.S. imports, including coffee, honey and industrial chemicals, with retaliatory taxes. There was no word on whether China would back out of trade talks it said it was invited to by the U.S., but a Chinese Commerce Ministry statement said the U.S. increase “brings new uncertainty to the consultations.” The Trump administration has said it remains open to negotiations with China. ANALYST’S TAKE: “Indeed, U.S. investor and traders, in general, are showing little sensitivity to U.S tariff implementations, at least at current levels anyway,” Stephen Innes of OANDA said in a commentary. “So, with investors in evaluation mode and with both the U.S. and China likely to resume negotiations, expectations are still there for a resolution before President Trump deems it necessary to double down on tariffs,” he added. ENERGY: Benchmark U.S. crude lost early gains to trade flat on the day at $71.12 a barrel in electronic trading on the New York Mercantile Exchange. Brent crude, used to price international oils, shed 42 cents to $78.98 a barrel after Trump said in a tweet that the “OPEC monopoly must get prices down now!” The cartel will meet this weekend to try to sketch out how to increase production, as they had promised in June they would do. The question is tricky because Iran’s output is stymied by U.S. sanctions and Iran is hesitant to let regional rival Saudi Arabia increase production and take over market share. CURRENCIES: The dollar eased to 112.11 yen from 112.29 yen. The euro strengthened to $1.1768 from $1.1674.